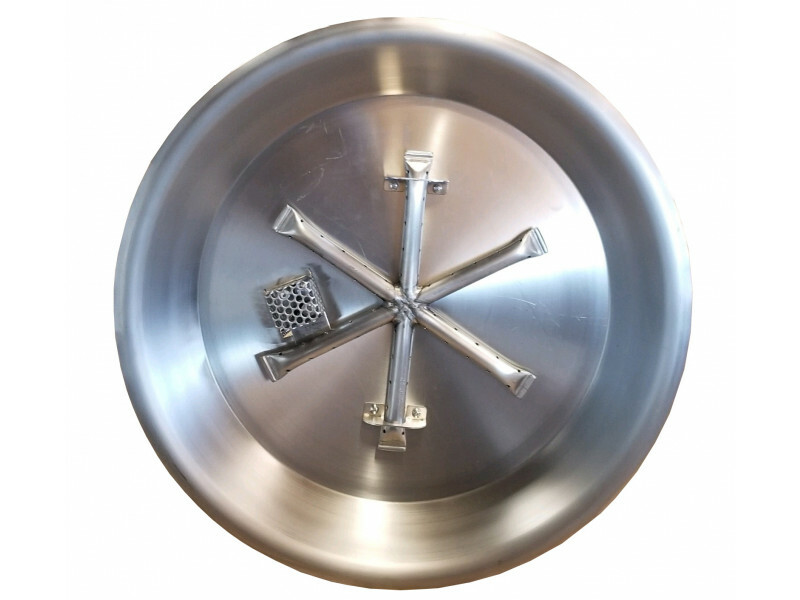 Reliable, ultra-durable fire pit burner inserts tailored to fit your custom fire pit. 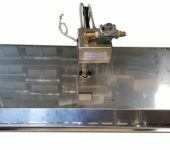 COOKE fire pit burner inserts are constructed almost completely out of stainless steel and can be configured to run on natural gas or propane. Available in square, rectangular, round and custom shapes, COOKE is an industry leader building complete gas fire pit inserts for private residences or commercial use. 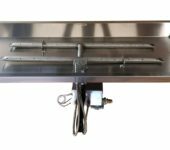 Our burner pans are constructed from a double wall sheet of stainless steel that can be built to fit any size cutout. 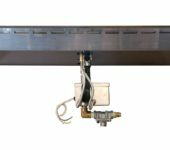 The innovative double wall pan insulates your fire from the rest of your table and provides maximum corrosion resistance. 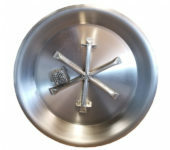 Our burners are constructed from stainless steel ensuring a quality fire for a long time. 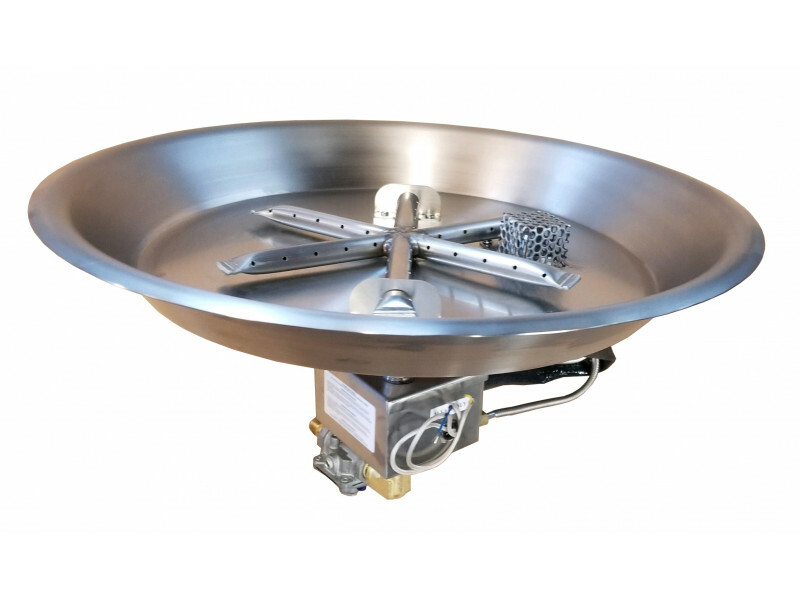 At COOKE our burners are designed for durability, convenience, and safety. We offer two types of ignition. 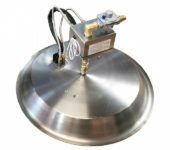 Our standard burner insert is a manual light gas burner. Turn on your fire pit’s fuel and light the fire pit with a match or long BBQ lighter. Our electronic ignition can be controlled with a home automation system, switched power, or rotary timer. 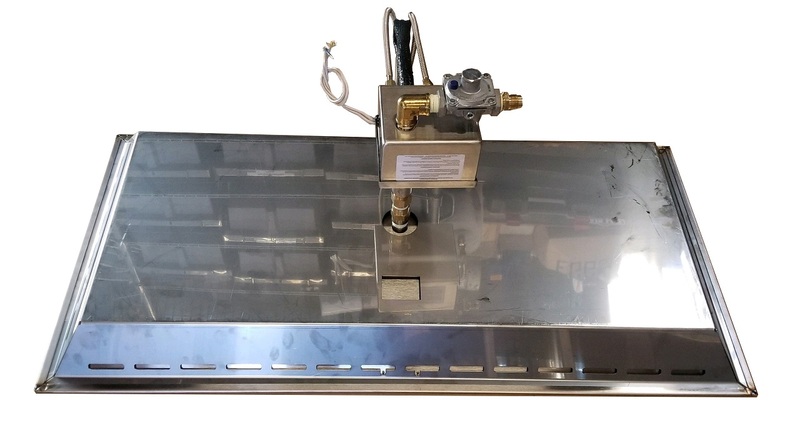 This ignition is designed to light in any weather condition and is available in a swimming pool certified option with 30 VDC / 185 amp power supply. 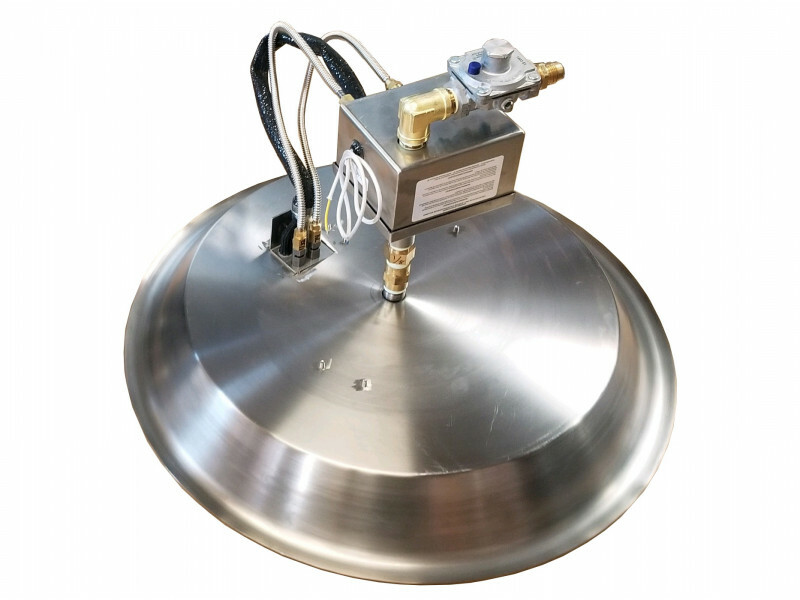 Our electronic electronic ignition’s patented flame sensor increases the safety of your fire pit. If the fire were to blow out with a strong gust of wind, this electronic ignition will sense that the flame has been lost and will automatically try to re-light. If your fire fails to ignite, this electronic ignition will shut off the fuel. 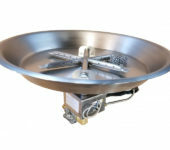 Call now for more information on a custom fire pit burner for your contractor-built fire pit or home fire pit project! Click here to buy now!